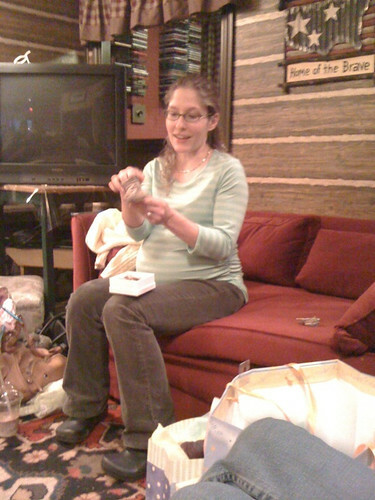 Is a knit- night baby shower! Check out this beautiful woven blanket. 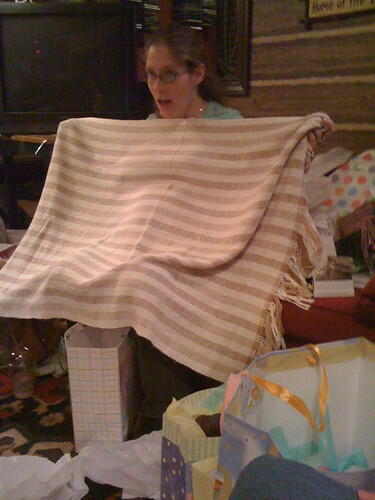 Sorry Stephanie, it's not the cutest picture of you - but you're so in awe of the blanket! Awww its the wee little baby booties!!!! These were a big hit. YAY! And look at the cute little cocoony thing! Also - we knitters take care of our own. 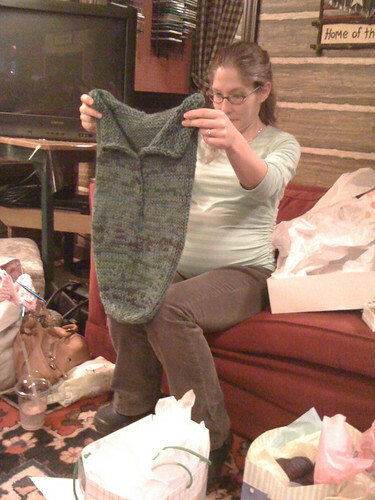 Beautiful yarn for mommy! 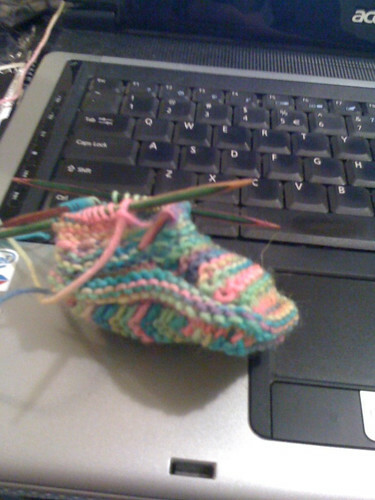 I've decided to knit some more baby booties - these are for a co-worker who is about to become a grandmother. Make sure to subscribe to my new website. My 2nd post was a very exciting interview with the founder of Soak! 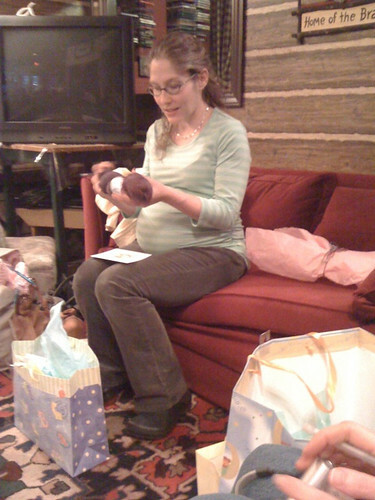 Your booties were definitely a hit; too cute!